Did You ever visit New Zealand? When you read or hear about a beach, you instantly visualize white or dull-golden color sand beaches bordering the deep blue color sea. In fact, the most common color of the beach is we identify with ‘sand color’. However, our Earth is a planet full of irregularities. As the color of the oceans varies from various shades of blue and green, their beach color too varies. There are white sand beaches, black sand beaches and even pink sand beaches. 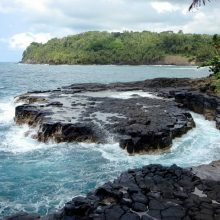 I cannot visualize a beach which is covered with black sand that occurs due to volcanic activities in the proximity, I think it would look odd and the contrasting color with the sea gives an eerie look. Nevertheless, the black sand beaches exist in various parts of the world. Let us pay a visit to a few of them in New Zealand today. Yes, the sand looks distinctly black at the Piha beach, Auckland, North Island, New Zealand. Do you know that there are as many as 50 volcanoes in Auckland and in fact, it is known as the ‘city of volcanoes? Rangitoto is the most active volcano among the 50. No wonder, the Piha beach is a black sand beach due to the spreading of lava from the volcanoes. 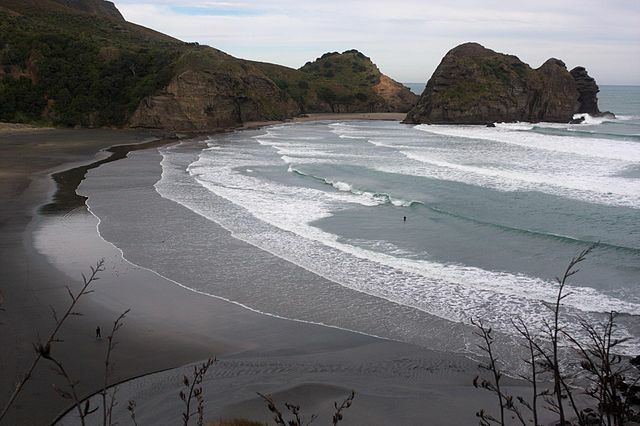 Piha beach is visited not only for its black sand but also for its suitability for water skiing and windsurfing. I believe there are other sightseeing places near the Piha black sand beach that include the Waitakere Ranges Regional Park (a rainforest), KiteKite water falls, and Fairy falls. Karekare black sand beach, New Zealand. If you travel 35 km from the center of Auckland city towards the west side, you will reach the stunningly looking black sand beach. 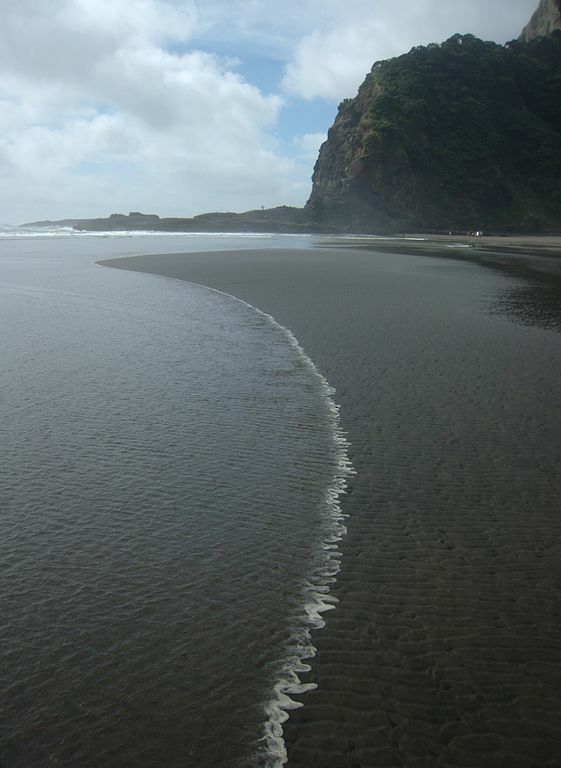 The Piha black sand beach is visited north of KareKare black sand beach. The water current at this lovely beach is too strong to swim or surf and that’s why this Kiwi black sand beach attracts fewer visitors than Piha beach. However, I think it is more beautiful than Piha beach. Not only me but several noted painters and filmmakers think the same and that is proven in their works. Since this is located on the west coast of Auckland, it wears black sand. 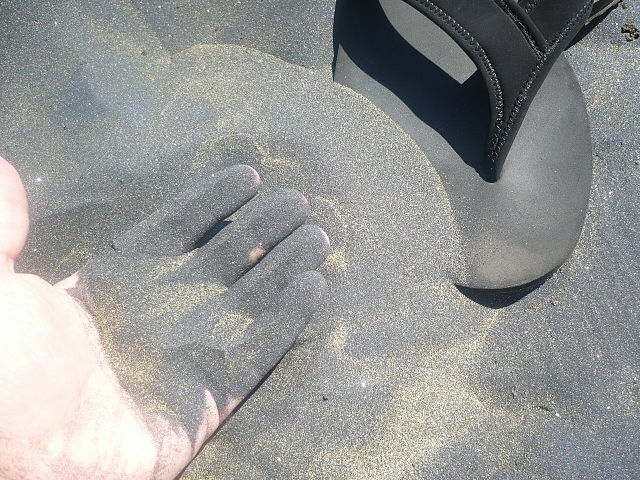 Oh, what a beautiful black sand beach! The video was shot from an excellent angle. 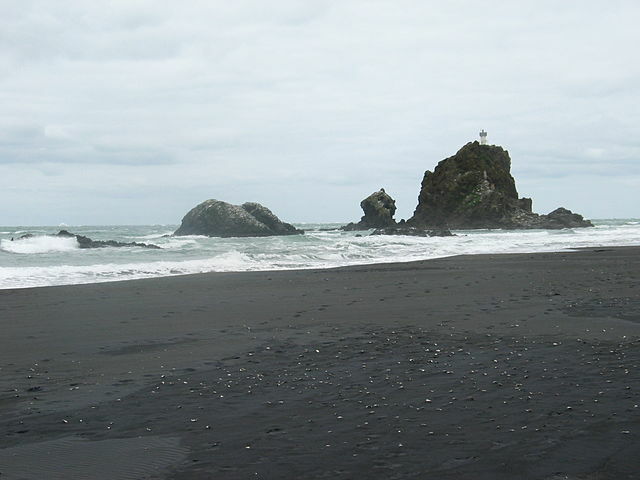 The geography books say this is a small black sand beach when compared to the other black beaches of New Zealand. 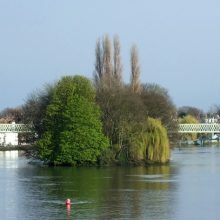 Nevertheless, it looks unspoiled and a bit romantic too because of its deserted look. When any place in the world is less-trodden by human beings, it is called ‘romantic’-eh? What an odd way of describing ‘romance’. The nearby Maori bay and the O’Neill Bay are ideal spots for water-surfing. Muriwai is one more black-sand beach in Auckland, New Zealand. The mountainous backdrop means there must be a few walking trails and one or two viewpoints on top of the small mountain. This black sand beach is also liked by the ‘gannets’ a kind of large seabird that swarms the Muriwai black sand beach, nest, and breed from August to March each year. The rocky pillars are their ideal mating place and raise their offspring. One more black sand beach in Auckland and is located near the Manukau Harbour. 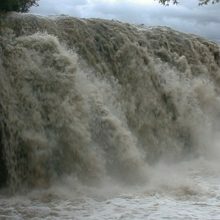 A bit of research for the isolation reason revealed the presence of powerful currents that have proved fatal even to ships. However, I suppose you are perfectly safe walking on the black beach that is situated south of Waitakere hill range. Whatipu black beach is reached after an hour drive from Auckland city. A few minutes walk down the black sand beach will reveal the Whatipu Caves that act as contingency shelters for the campers on the Whatipu beach. 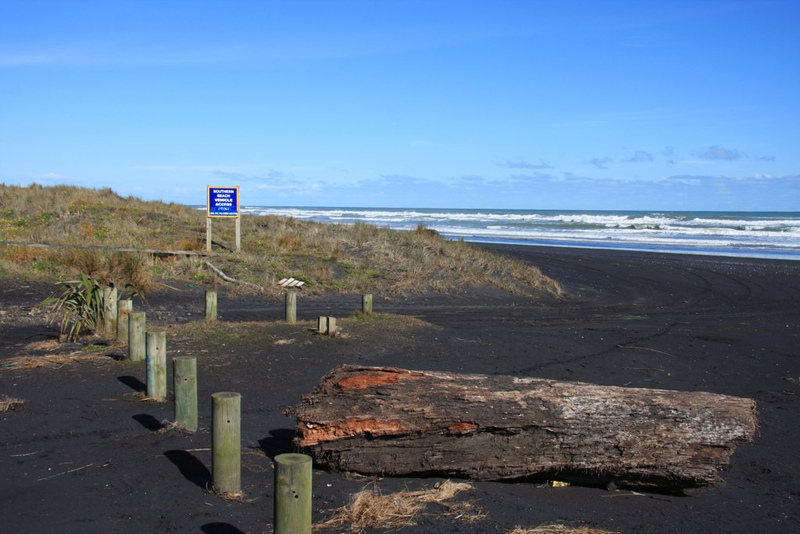 Located in the Franklin district of Auckland, the Karotahi black sand beach is an hour drive from Auckland. 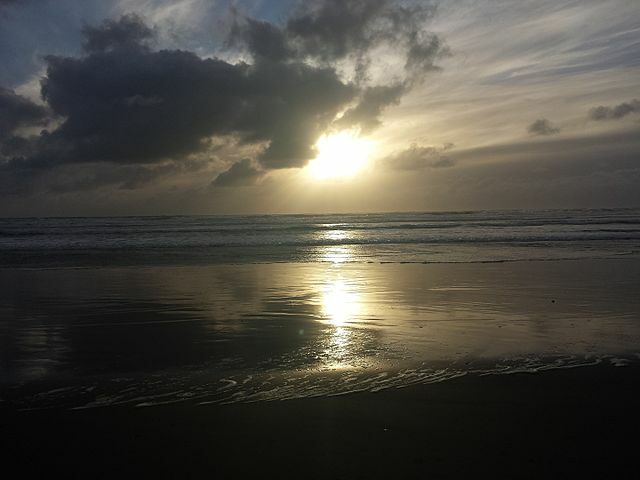 As all the black sand beaches in Auckland are just an hour drive away, I think you can visit all the black beaches by the sunset, take selfies and proudly share them on your Facebook. The beach’s length is conveniently suitable for the ‘blokarting’ sport which is actually “land sailing”. Yes, you drive a boat-like vehicle that is powered by a sail fitted on it. There is a forest nearby the Kariotahi black beach called, “Waiuku Forest” just on the banks of Waikato River. It would beckon forest-walkers. Raglan that is located in the Waikato region which also seems to be full of black sand. Raglan is 15 km away from Auckland, North Island, New Zealand. 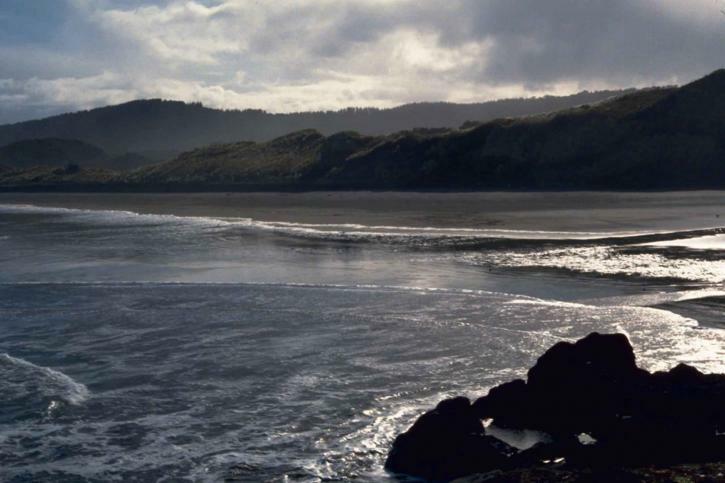 The black Ngarunui Beach is visited by a fairly large number of tourists because of the other nearby attractions that include Bridal Veil Falls that is fed by the Pakoka River and Mount Karioi a dormant volcano. Whatever is your preference of food, do not forget to buy a box of Whittaker’s Chocolate, the most popular chocolates in New Zealand. Of course, there is the Kiwi fruit. Eat a couple of the succulent and juice kiwi fruits without any accompaniments to fully appreciate the taste of New Zealand. There is no dearth of rum, vodka, and wine in New Zealand. If you want something unique to drink, you should try the ‘mulled wine’ which is actually a spiced liquor.